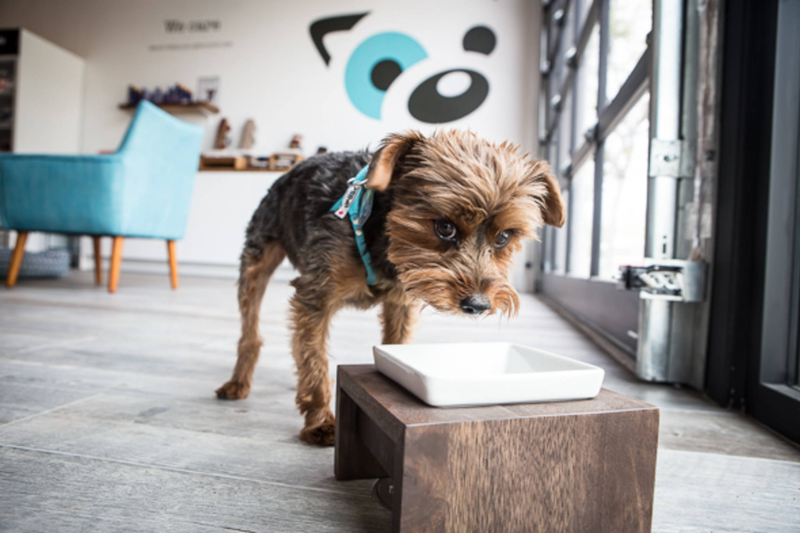 The idea of creating a dog cafe has appeared in South Korea in analogy to cat cafes which have great popularity around the world. It’s great because, as everyone knows, there is two kinds of people: the ones who like cats, and the others who adore dogs. Of course, both species of animal help people deal with depression in a relationship thanks to their loyalty, therapeutic talents, and ability to cheer people up. And if your girlfriend is a dog lover, then lunch in a dog café will be an excellent option for a date. She will be able to enjoy your company and mingle with the cute fluffy and friendly paws of various breeds, sizes, and colors. They are always glad to play with a new friend. This is a brand-new dog café which appeared in January 2018. It is located in Novosibirsk, Russia. So if you are looking for your soulmate in this city and decide to ask a girl out, pay attention to this lovely place. You will be met by four dogs that have been taken from an ordinary dog shelter. Each of them is friendly and stress-resistant. Dog House is also a book café, so you will be able to find a small library in one of the corners. In addition, it’s great that if someone has a favorite dog: they have an opportunity to take it. If you are going to visit Singapore or you live there, be sure to visit WTF with your girlfriend. You will be able to spend amazing time with the four-legged friends, thanks to the fact that the café provides a special area for playing with dogs and giving them simple commands like “down” or “paw.” This café has a charming atmosphere, which contributes to relaxing and having a great time. Your girlfriend will be able to pet her favorite puppy until it falls asleep on her lap. For the most part, the dogs are of small breeds like Pomeranians and Beagles. Lunchtime will be the best option because you will be able to buy some treats for your new friends and make them a bit happier. Japan is famous for different kinds of cafes to any taste. This lovely and unique place is located in Itabashi. In Wan-Nyan Café & Pet Hotel NeoNeo, you will find a dog-staffed café on the first floor, and if you go upstairs, you will be able to visit a cat café as well. As they say, “Two birds with one stone.” Be ready for the fact that this place has quite a different concept from other establishments of this type. It is rather about dining with four-legged friends than about playing with them. Dogs are a part of the staff who entertain the guests. However, unlike other places, you will be able to drink a cup of coffee and enjoy tasty cakes. It will be quite easy to find this fantastic place thanks to direction signs in the Myeongdong area which is one of Seoul’s main shopping and tourism districts. The price of admission includes drinks, doggie treats, and unlimited time for playing with wonderful dogs of different breeds, including a bulldog, dachshund, pug, greyhound, Dalmatian, Pekingese, Labrador, and others. Both of you will get only positive emotions. It is considered one of the greatest dog cafes in India, so if you are looking for the best place to visit with your dear dog lover, then this is the best option. Here, you will find a big zone to play with dogs as well as multi-cuisine café to have a great lunch. This place has a charming home atmosphere, which will be most suitable for a romantic date. You can be sure that this spot will not leave your girlfriend indifferent. You can look for their page on Facebook if you want to be informed about upcoming events and master-classes for four-legged friends and dog lovers.